The WB 2017 schedule has been updated and it means another delay for Guy Ritchie’s long-awaited King Arthur: Legend of the Sword. Previously set for a March 24 release, the re-imagining of Arthurian legend will now arrive May 12. Also shifting in the WB 2017 schedule update are the release dates for the R-rated TV series adaptation comedy CHiPs, the romantic drama Everything, Everything, and the horror franchise spinoff sequel Annabelle 2. CHiPs takes King Arthur‘s old March 24 date, arriving four months earlier than originally planed, while the other two films swap places. Everything, Everything now arrives May 19, with Annabelle 2 debuting August 11. 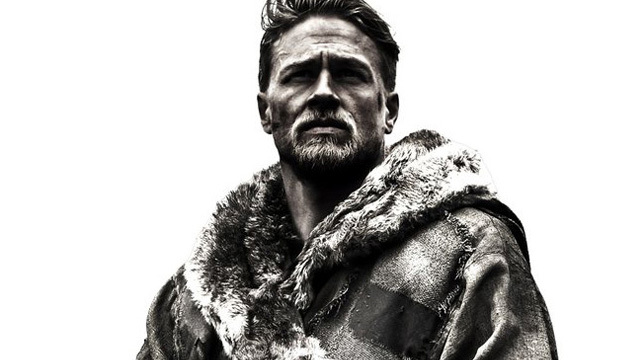 Ambitiously planned to potentially span six films, King Arthur will offer a re-imagining of Arthurian legend. Believed to have been a 6th century King, Arthur defended Britain against Saxon invaders. The key source material for the film will be Thomas Mallory’s “Le Morte d’Arthur,” published in 1485 as a compilation of French and English tales. The Warner Bros. Pictures release also stars Charlie Hunnam, Astrid Berges-Frisbey, Jude Law, Eric Bana, and Djimon Honsou. CHiPs, meanwhile, stars Dax Shepard (who also directs) as highway patrolman Jon Baker alongside with Michael Pena as Frank “Ponch” Poncherello. Directed by Stella Meghie, Everything, Everything stars Amandla Stenberg as a teen with severe combined immunodeficiency, also known as “bubble baby disease,” which causes her to be allergic to practically everything. Due to her condition, she’s unable to leave her house in Los Angeles, but she begins to fall in love with a boy who moves in next door. Annabelle 2, finally, is directed by Lights Out‘s David F. Sandberg and dials the story back from the first Annabelle feature, itself a prequel to The Conjuring. It centers on a dollmaker and his wife whose daughter tragically dies. Twenty years later they decide to open their home to a nun and several girls from a shuttered orphanage. When the dollmaker’s possessed creation Annabelle sets her sights on the children, it turns their shelter into a storm of horror.